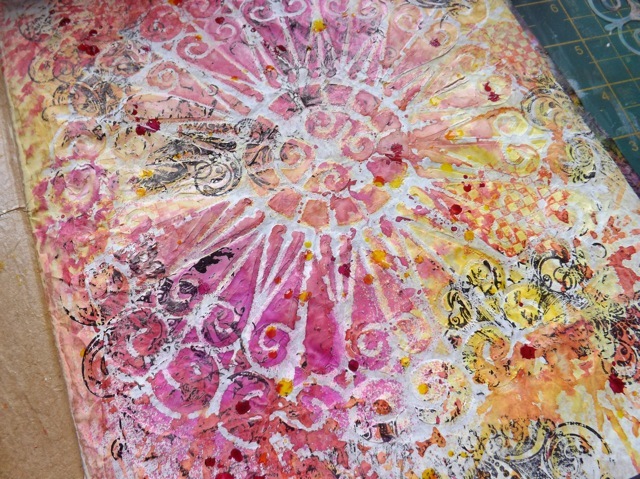 Another odd WOYWW post this week – a real conglomeration of things! 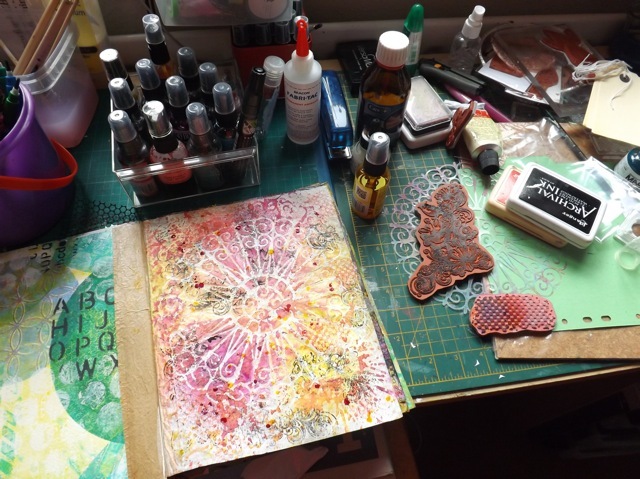 First, the obligatory desk shot – an art journal page . Liking it so far but still lots to do. I needed an “opening” page but wasn’t sure what I wanted to do. Driving to the store yesterday a song lyric came to me as the perfect quote. Hopefully I’ll finish it up today! and what was inside? 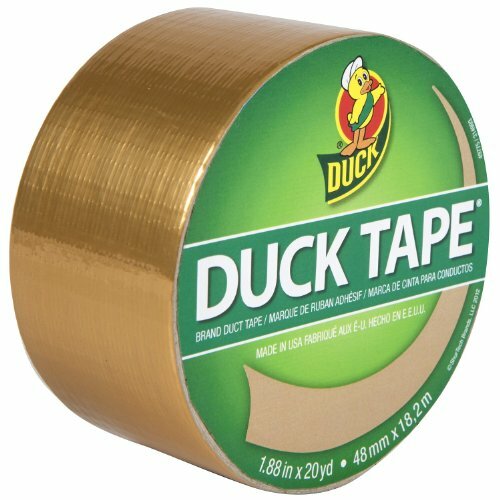 Only GOLD Duck Tape! 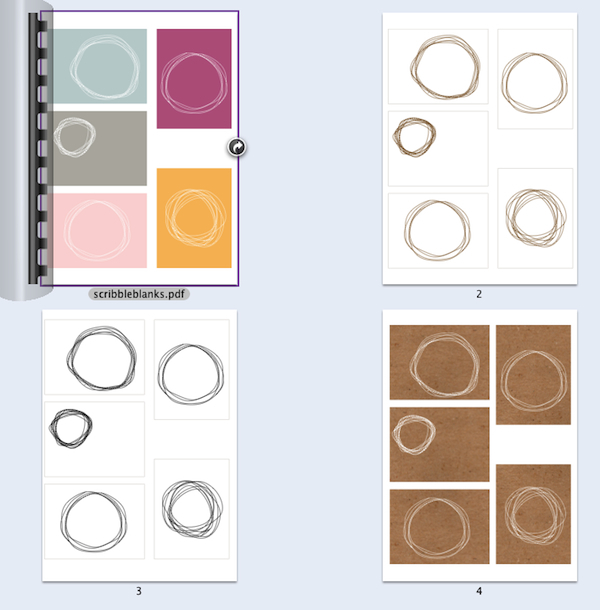 She asked for blanks to use in her art journal rather than for scrapbooking. Nothing special to make but happy to oblige! Others may find them useful too. Categories: Uncategorized, WOYWW | Tags: WOYWW | Permalink.